Airdroid is a great App for Android which is used to manage Android Device wirelessly using a web browser on your PC. Now you don’t have to connect your android device using USB or Card reader to manage your SD card, You can easily Import or export your files over Wi-Fi connection. AirDroid is a fast, free app that lets you wirelessly manage and control your Android device from a web browser Over The Air. 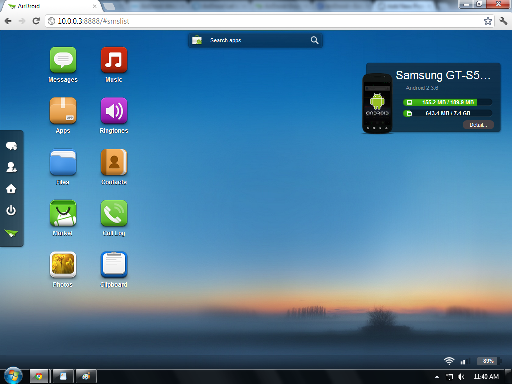 AirDroid is convenient and easy to manage and transfer the data between Android Device and PC over Wi-Fi. It has Very Simple and Beautiful Interface, Support Android 2.1 or Updated. Launch App and Start it. 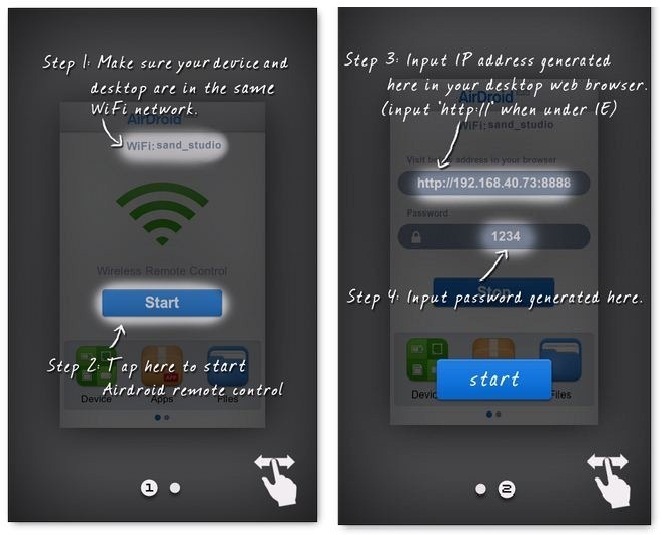 Your Wi-Fi connection will be configured and once you Click on start you will be given IP address and Password. Now you need to visit a browser on your PC and type IP address in address bar of your Browser. Now will get connected to your PC with android device so that you can easily sync all files. 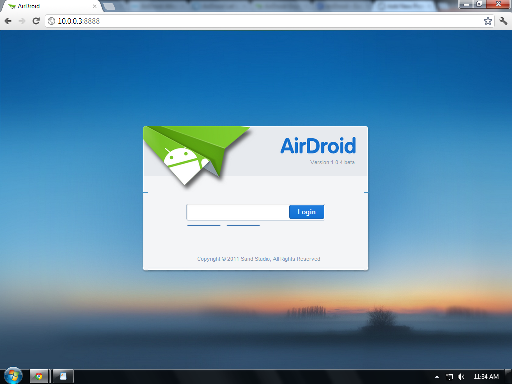 STEP1:- Download Airdroid Install and Run it. STEP3:- Now Open your Browser on your computer and type the given IP address and it will be asking you for password. Now you have successfully Connected your Android Device with your PC, Now you can easily Import or Export any file without any USB or wire connection. By Tapping on Message icon you can select multiple recipients for your SMS, delete messages in batch. Ringtones icon lets you play, export, delete and set custom phone ringtone, selecting the Music icon allows you to view media info such as artist name, track title, album info and file size, and many more things that you will understand once you Install app on your device.